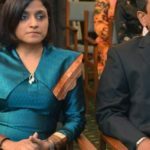 Dunya Maumoon, a former foreign minister in her uncle President Abdulla Yameen’s government, told an Indian newspaper that the Maldivian “experiment with democracy may be failing” and that the future remained uncertain. Dunya Maumoon, daughter of jailed former president Maumoon Abdul Gayoom, has appealed for Indian intervention to help free her father. 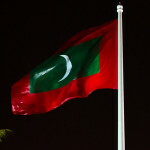 Dunya, a former foreign minister in her uncle President Abdulla Yameen’s government, told Indian newspaper Asian Age that the Maldivian “experiment with democracy may be failing” and that the future remained uncertain. “Democracy in the Maldives is [in] a crisis point. It is a serious crisis, with far reaching consequences.. there is a cycle of vengeance,” she said. 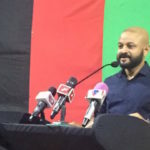 Gayoom was arrested in February following a state of emergency that was declared after the Supreme Court ordered the release of nine political prisoners, including Dunya’s younger brother MP Faris Maumoon. 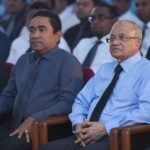 Gayoom remains in detention pending a terror trial in which he is charged with attempting to overthrow the government of his half-brother, Yameen. He is also separately charged with obstruction of justice. He denies the charges. Back in February, after Gayoom’s arrest, Dunya had defended Yameen and blamed former president Mohamed Nasheed for her father’s detention. 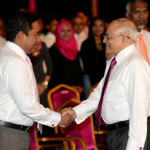 Nasheed and Gayoom had been working in an opposition coalition against Yameen since 2017. 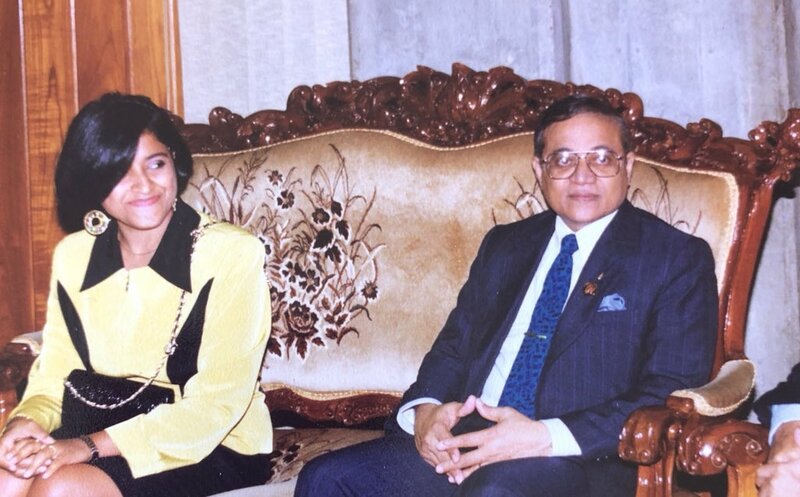 That same month, in an interview with the Indian Express, she also criticized Nasheed’s appeal for Indian intervention during the early stages of the political crisis and accused Nasheed of being “irresponsible”. She also defended the judicial system on several occasions after UN experts found the judiciary was highly politicized and susceptible to corruption. At the time she said that criticism of the judiciary undermined the independence of the institution and urged international partners to respect Maldivian institutions.